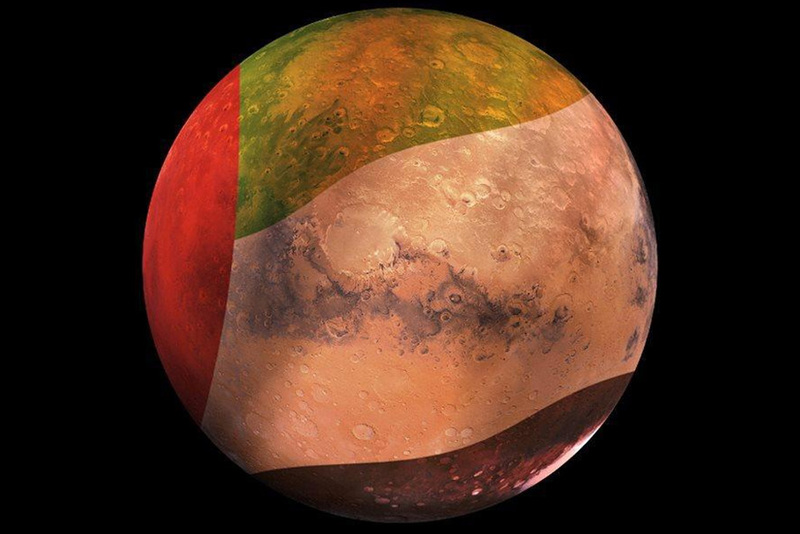 Dubai: The UAE unveiled its Mars mission plans on Wednesday. The UAE Mars Mission will provide the truly global picture of the Martian atmosphere through an unmanned probe to be launched in July 2020 to reach Mars in 2021, according to the engineers involved in the project. "Our science mission is to produce the first ever truly global picture of the Martian atmosphere. This is the first holistic study of the Martian climate and how the layers of atmosphere fit together," Omran Sharaf, Emirates Mars Mission Project Manager, said in the video of the Emirates Mars Mission launched during the unveiling of the UAE Mars mission on Wednesday. These initial details were unveiled at an official event attended by His Highness Shaikh Mohammad Bin Rashid Al Maktoum, Vice-President and Prime Minister of the UAE and Ruler of Dubai. 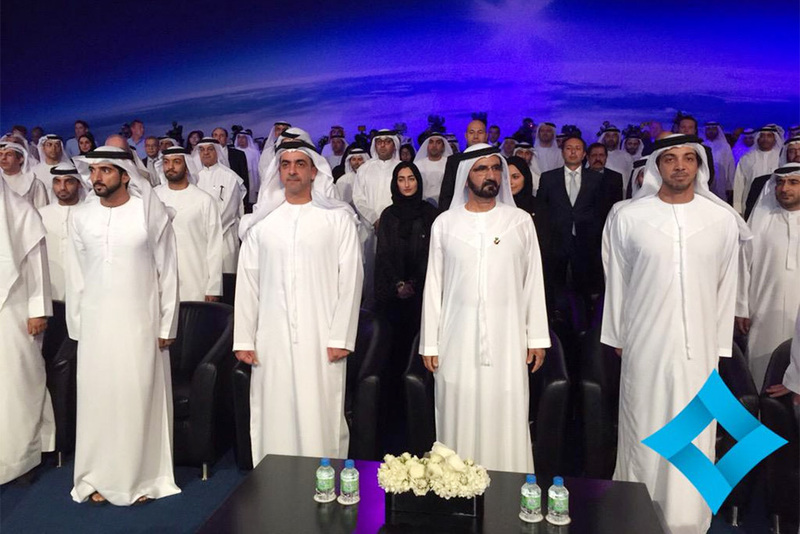 The event is attended by top-level UAE officials. 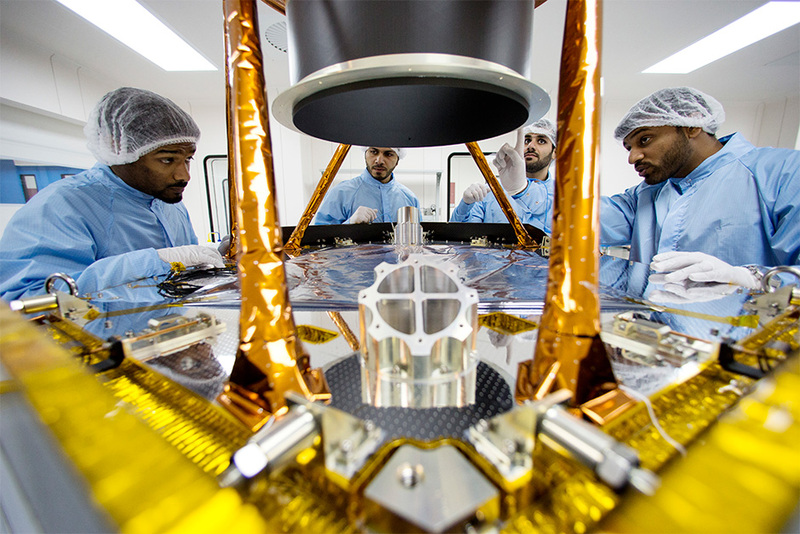 A purely Emirati team composed of 150 engineers and scientists will work on the mission. "We have to be ready to launch by then [July 2020]. There is no second chance. It's a race against time," Sharaf said. The spacecraft will be launched in the nose cone of a rocket. The journey to Mars will take around seven months. The Mars mission aims to analyse the Martian climate in order for the scientists to better understand the Red Planet, the Earth in the future millions of years from now, and other planets that have yet to be discovered. "We will model the connections between all the different components of the Martian climate including all the temperatures, winds, dust, and clouds," said Sarah Amiri, Deputy Project Manager, Science Lead. "First, this will help us to model Earth's atmosphere and how it will evolve with time over millions of years. Second, it will allow us to analyze newly discovered planets far across the galaxy to be able to determine if there is life on it," she added. "Scientists on earth will use the data that will be sent by the probe to build a complete dynamic picture of the Martian climate. This is something that has never been seen before," Sharaf said. "Our data will give the international science community a deeper and richer understanding of the Martian atmosphere," Ebrahim Al Qasimi, Deputy Project Manager, Strategic Planning, said. UAE's plans to send an unmanned probe to the Red Planet in 2021 coinciding with the UAE’s 50th anniversary were unveiled in July last year. A UAE Space Agency has since been created to plan, execute and monitor the seven to nine-month journey to Mars over the next six years. The epic 60 million-kilometre journey makes UAE the ninth country to join the ‘global Martian club’ with the likes of the US, Russia, China, Japan, India and France with missions to explore the Red Planet for habitability and potential presence of life forms. The UAE’s investments in space technologies already exceed Dh20 billion. The blueprints and science goals for the first Arab mission to Mars were revealed on Wednesday with the probe named “Hope” to create mankind’s first integrated model of the Red Planet’s atmosphere. The announcement featured presentations from the Emirates Mars Mission team in the presence of high-level delegations headed by His Highness Shaikh Mohammad Bin Rashid Al Maktoum, Vice President and Prime Minister of the United Arab Emirates and Ruler of Dubai. The unmanned probe will leave Earth in 2020 on a mission designed to complement the science work of other missions and fill important gaps in human knowledge. Its unique orbits and instruments will produce entirely new types of data that will enable scientists to build the first truly holistic models of the Martian atmosphere. These models will help the global Mars science community to unlock more mysteries of the Red Planet, such as why its atmosphere has been decaying into space to the point that it is now too thin for liquid water to exist on the surface. Besides deepening human knowledge about Mars, the data will also help climate scientists understand changes in Earth’s atmosphere over millions of years. This knowledge will also help space scientists to evaluate the atmospheres of thousands of newly discovered planets far across the galaxy, to determine which may have an atmosphere that could support extra-terrestrial life. The Emirates Mars Mission will be the first to study dynamic changes in the Martian atmosphere throughout its daily and seasonal cycles. Its specialised instruments will enable scientists to observe weather phenomena such as clouds and dust storms, as well as changes in temperature, dust, ice and gases including water vapour throughout the layers of the atmosphere. They will learn for the first time how the atmosphere interacts with topography, from the highest volcano peaks to the vast deserts and the deepest canyons. The probe will be a compact spacecraft the size and weight of a small car. It will blast off in a launcher rocket, then detach and accelerate into deep space. It will reach a speed of 126,000 kilometres per hour for the 600 million km journey around the sun to Mars, which will take around 200 days. The probe will orbit the Red Planet until at least 2023, with an option to extend the mission until 2025. 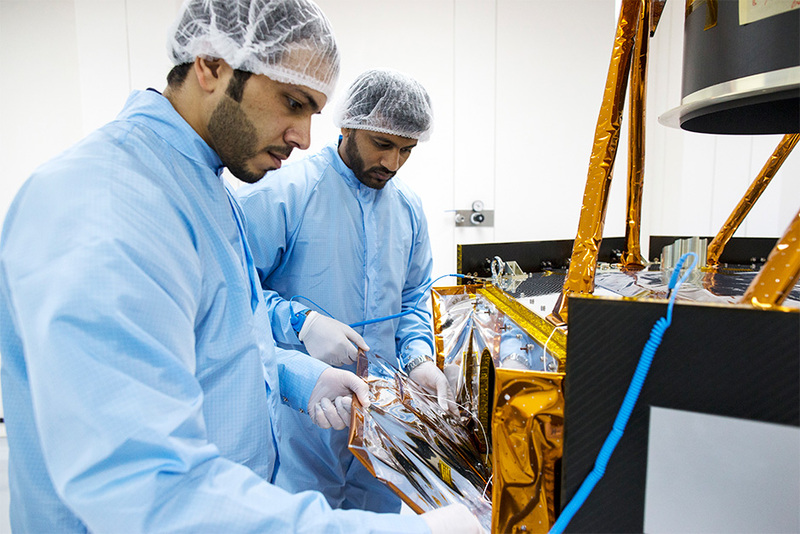 It will send back more than 1000 GB of data to be analysed by teams of researchers in the UAE, and shared freely with more than 200 institutions worldwide for the benefit of thousands of space specialists. The Emirates Mars Mission will leave behind a major legacy on Earth, because the mission is being planned and managed in the UAE by a 100 per cent Emirati team. In this way it is designed as a catalyst for a new generation of Arab scientists and engineers, and as an anchor project for the growing science and space sectors. The Emirates Mars Mission team currently comprises 75 Emirati engineers and researchers and will grow to more than 150 by 2020. “The Emirates Mars Mission is a strategic investment in our human capital and an investment in our human capital is a winning investment. Future generations will reap the rewards of our investment in science and knowledge,” Shaikh Mohammad bin Rashid said. The Emirates Mars Mission will send three important messages, he added. Shaikh Mohammad announced that the probe would be called “Hope”, a name chosen after the Arab world was invited to submit suggestions in a public campaign. “We thank everyone who participated and wanted to be part of this great historic project to send the first Arab probe to Mars. 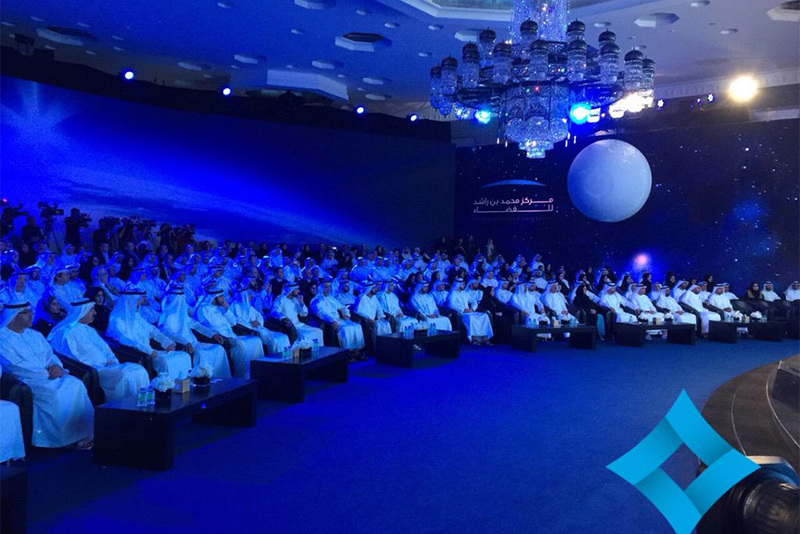 Everyone who took part is a partner in this mission,” Shaikh Mohammad said. The Emirates Mars Mission team gave a full presentation about the project with all the science details in addition to a video about the journey to Mars. Shaikh Saif Bin Zayed Al Nahyan, Deputy Prime Minister and Minister of Interior, and Shaikh Mansour bin Zayed, Deputy Prime Minister and Minister of Presidential Affairs, were among many dignitaries who attended. The spacecraft will be launched in the nose cone of a rocket. The rocket must exceed 40,000km/hr to break out of Earth’s gravity. Then once in space, the centre booster in rocket stages will fire up. The fire thrusters will speed up its flight at 100,000km/hr. Then the spacecraft will separate from the launcher. The spacecraft will unfold its solar panels and point toward the sun to charge the batteries. Since there is no GPS in deep space, the spacecraft will have to find Mars using star trackers to navigate using patterns of constellations, similar to how our ancestors used the stars to navigate their way in the desert and at sea. Al Qasimi said when the spacecraft reaches Mars, it will have to slow down to 14,000km/hr in order to enter Mars’ orbit. “This will be a tense time at mission control in the UAE. The thrusters must fire for 30 minutes at precisely the right time. If anything goes wrong, the spacecraft will pass Mars and the mission will fail.” Sharaf said. Controlling the spacecraft from Mars will be impossible as sending signals to a spacecraft millions of miles away will take approximately 40 minutes to reach. The spacecraft will be sophisticated enough to make its own decisions.